Disney’s The Pirate Fairy Premiere was held Saturday, March 22, 2014 in Burbank, California on the Disney lot. The screening was a celebration of the upcoming direct release of the animated movie to Blu-ray and Digital HD on April 1, 2014. It will not be screening in theaters. Disney Child Star Rowan Blanchard at “The Pirate Fairy” Release Party and Premiere. 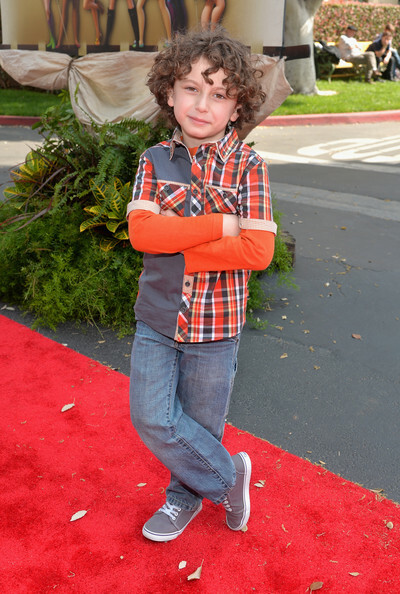 Disney Child Star August Maturo at “The Pirate Fairy” Release Premiere. Modern Family’s Aubrey Anderson-Emmons was also in attendance and looking sweet in an on-trend, blue and brown block print dress. 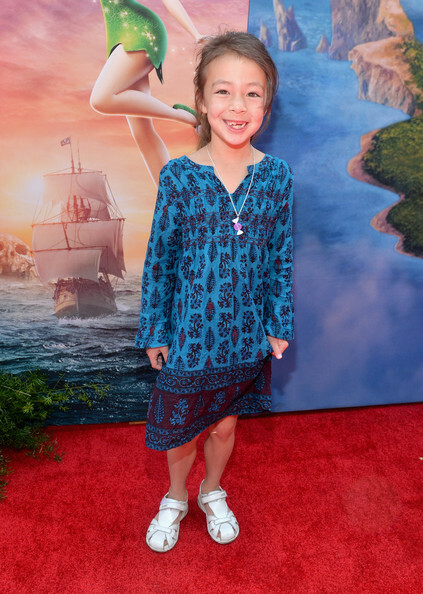 “Modern Family” Child Star Aubrey Anderson-Emmons on “The Pirate Fairy” Red Carpet. The Pirate Fairy is the story of a misunderstood dust-keeper fairy named Zarina who steals Pixie Hollow’s all-important Blue Pixie Dust, and flies away to join forces with the pirates of Skull Rock. Tinker Bell and her fairy friends must then embark on the adventure of a lifetime to return it to its rightful place. However, in the midst of their pursuit of Zarina, Tink’s world is turned upside down. She and her friends find that their respective talents have been switched and they have to race against time to retrieve the Blue Pixie Dust and return home to save Pixie Hollow.